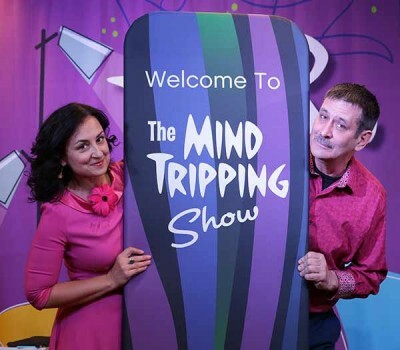 Mind Tripping: A Comedy with a Psychological Twist is an interactive show by Christian & Katalina, the #1 Husband and Wife Comedy Mind Reading Act in the Nation. The show is a combination of mind-bending adventures and pure fun. Think Candid Camera meets the Twilight Zone.Be a part of a mind-bending, reality-twisting interactive theatrical show. Think Candid Camera meets the Twilight Zone. Be prepared to have your perceptions challenged and your expectations turned upside down. This centrally located hotel in Indianapolis, Indiana offers ultimate convenience to families and business travelers. Enjoy being close to many exciting attractions, tourist destinations, shops and dining options. As well as visiting the many attractions, guests enjoy this Indianapolis hotel’s amenities. Work out in the fitness center, swim laps in the pool, or be pampered in the Gent Spa. Take advantage of the resident barber shop and beauty salon.